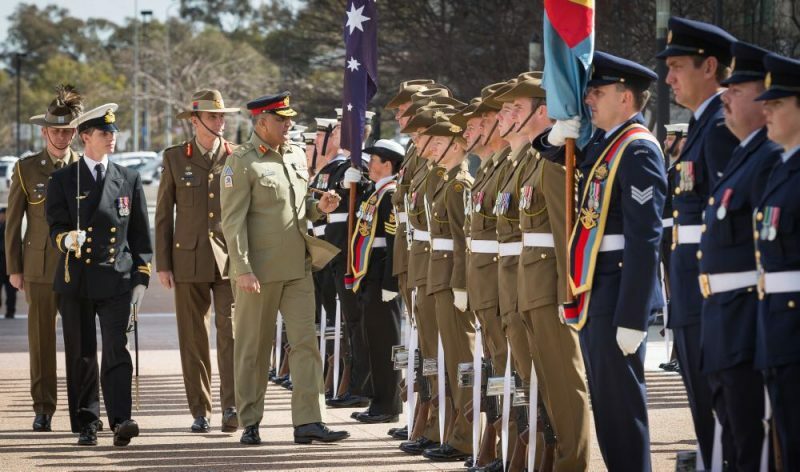 CANBERRA – Pakistan’s Chief of Army Staff (COAS) General Qamar Javed Bajwa is in Australia on a two-day official visit upon invitation from the Australian army chief. He reached Australia on Monday. Upon arrival at the Defence Forces Headquarters in Canberra, General Qamar Javed Bajwa was honoured with a tri-service Guard of Honour, according to an Inter-Services Public Relations (ISPR) statement. 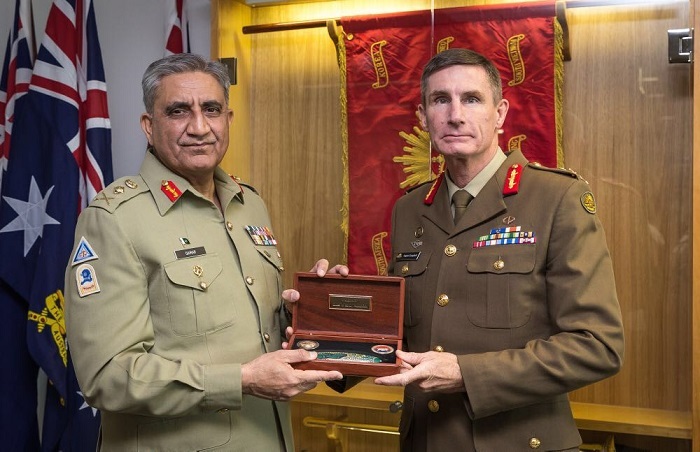 Gen Bajwa held meeting with Australian Army Chief Lt Gen Angus J. Campbell and Naval Chief Vice Admiral Timothy Barrett. Later, the Army Chief also met Australian Foreign Minister Ms. Julie Bishop and Defence Minister Ms. Marise Payne AR at the Australian Parliament House. During these meetings with Australian military and civilian leadership, the COAS highlighted regional security situation and Pakistan Army’s contributions towards peace and stability. The COAS said that while Pakistan will continue to support all peace efforts however we expect that our security concerns are also addressed. Pakistan has improved the security situation and has a key role in the regional economy, he said.